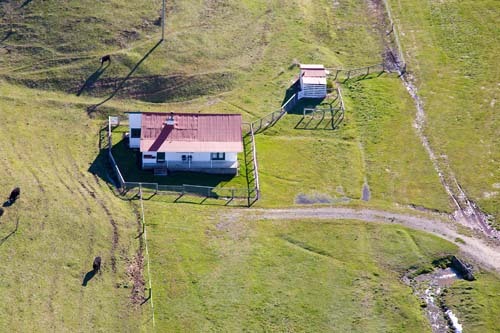 Molesworth is probably the best known, and the largest farming concern in NZ. It received its name from Sir William Molesworth (member of the NZ Association). It is managed by the Department of Conservation with Landcorp Farming Limited responsible for farming operations under a lease agreement. 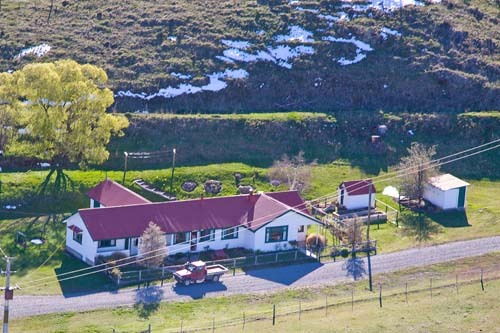 In July 2001 the Ward family, Jim, Tracey, Simon and Annah arrived at Molesworth. Jim Ward has been managing the property since then. From 1978 until July 2001 Molesworth was ably managed by Mr Donald Reid and his wife, Ann (daughter of the previous manager, Mr M M (Bill) Chisholm and his wife, Rachel). In 1978, after having managed the station for 36 years, Mr Chisholm, MBE and his wife moved to Coleman's Rd, Blenheim. Part of this huge area today know as Molesworth, due to hard times and the rabbit pest, reverted to the Crown in 1938. Eleven years later the State took over St Helens and a farm of 172 ha at Hanmer so that today it virtually consists of three stations - Molesworth and Tarndale (taken over first) and St Helens. This 1813 sq km expanse of country - ranging in height from 549m to almost 2,114m stretches from The Hossachs boundary in the south to the Muller Station, the hear of the Waihopai and the Leathem River in the north. The Clarence River forms a natural boundary for a large area. St James lies west and The Clarence Reserve south east. The Awatere River rises in the Barefell Pass area. Frosts (up to 15 degrees) average 230 per year. Rainfall varies on the run - from 635 / 660 mm at the homestead to 1,651mm or more in the Wairau country. A further area of 1295ha near Hanmer has been leased since 1 February 2008 and is used as a finishing block. The combined runs once ran about 95,000 sheep but the first decision made when the Crown took over the property was to spell it for 2/3 years while rabbits and deer were bought under control, then to stock it lightly with cattle to give natural cover a chance to regenerate. During the first year 80,000 rabbits were destroyed. In 1941 about 800 cattle were carried and by the following year, 1,326. By 1966 there were approx 8000 Hereford, Aberdeen Angus, halfbreds and crossbreds. Cattle in 1988 number 10,200. Oversowing began on Molesworth in the early 1950's. By 1966 about 16,188 ha had been done and clover, including Montgomery Red was everywhere. Little fertiliser was found necessary to establish clovers. Cocksfoot was encouraged. There was tussock regeneration and the reappearance of native grasses like blue grass. By 1966, â‚¤12,000 to â‚¤15,000 a year was still being spent on the rabbit pest and about â‚¤5,000 on noxious weed control. Today, the level of funds needed for rabbit and weed control still has to be high - both are ever a threat to the high country. In recent years economics have dictated a reduction in fertiliser use, but a lot of subdivision, drilling and oversowing has been done. Early owners of Molesworth included Dr Jas. Robertson (1854), John Caton, who sent John Murphy to establish an area in January 1865 - meanwhile William Atkinson held Molesworth Freehold and Lake McRae between 1859 and 1879. Later owners were Willis and Fuhrmann (1879), Taylor and McNaughton (1884), the Acton-Adams family (1890), D Rutherford (1911), Nicholls & sons (1918), Robert Lockhead (1920 or thereabouts) and later New Zealand Fermers' Co-op Association Ltd, Christchurch. Some say Atkinson built the first home: others that it was commenced by the Murphys and added to by William Atkinson. The present homestead (cob mainly, 12 rooms) was erected by Mrs Taylor in 1884 for â‚¤2000. Buildings and the water supply were in a bad state of repair when the Crown took over. Through the years these have been much improved. By 1966 concrete storage tanks, at least 5 new cottages, offices, storerooms etc had all been built. Small alterations to the homestsead have completed since the Reids took over management. Recently too, new quarters have been built at the Guide - the old hut having been burnt down by a passing cyclist in 1984. In 1987 at Tarndale a kitchen, bathroom, toilets and two bedrooms were built behind the existing cob building. Molesworth Road - Hanmer - Acheron - to Awatere opened in January 1988 for two months as a trial. The Benmore line for the Cook Strait Cable (opened 1 April 1965) enters the valley on Molesworth. 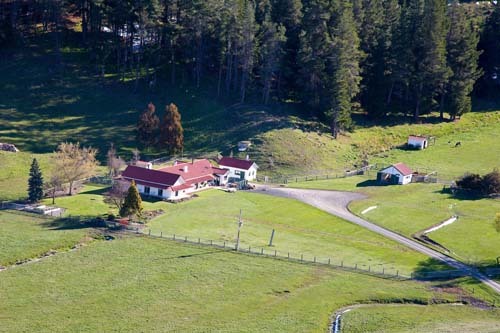 In1959 the Bush family of Blenheim (John and Joy) commenced producing honey at Molesworth.